Patti-Lynn is your complete interior decorating centre. 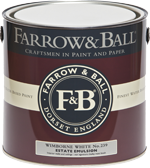 We offer top quality flooring brands and flooring installation expertise on hardwood, carpet, laminate, vinyl, linoleum, cork, ceramic tile, porcelain tile and area rugs, plus paint and paint supplies from Farrow & Ball, along with custom blinds, shutters, romans and drapery. Our commitment to quality, professionalism, service and providing superior flooring installations and drapery installations is what we have built our reputation on. It's like having a designer with you while you shop for flooring, paint and window fashions! The selection of flooring, paint, blinds and drapery products at Patti-Lynn has been carefully chosen to deliver the best possible quality, incredible value and of course, one of the widest selections available in our showroom. Our Flooring Experts and Décor Consultants have the experience and knowledge to help you "make your spot beautiful". We have been serving Southern Ontario, York & Durham Region, Markham, Unionville, Stouffville, Uxbridge, Ballantrae, Mt. Albert, Thornhill, Richmond Hill, Newmarket, Aurora, Port Perry, the Greater Toronto Area and cottage country for over 32 years. Click above to visit our social sites! Request a no obligation consultation and estimate with one of our Design Consultants Today! We will never sell, trade or give your e-mail to anyone.